Private outdoor terrace hot tub - same views! 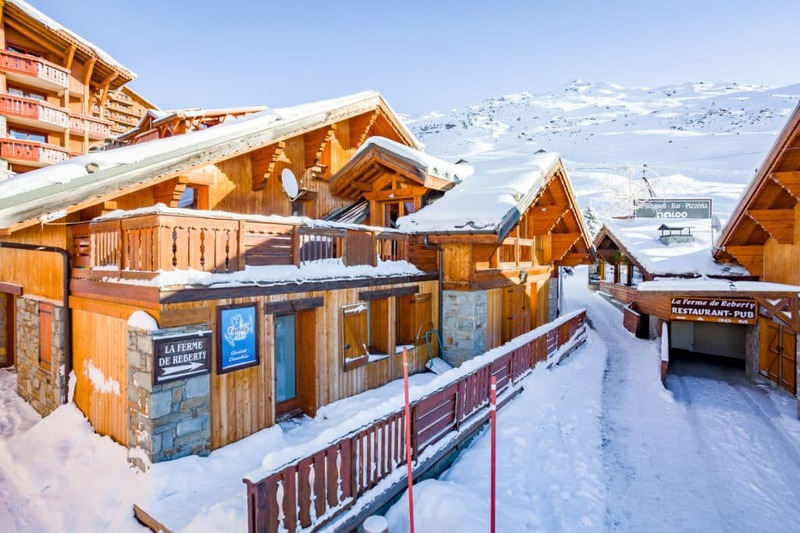 The first and second floors of Chalet Genevieve are newly refurbished and the much improved chalet sleeps 15-18 in two beautiful family suites and two ensuite family rooms. 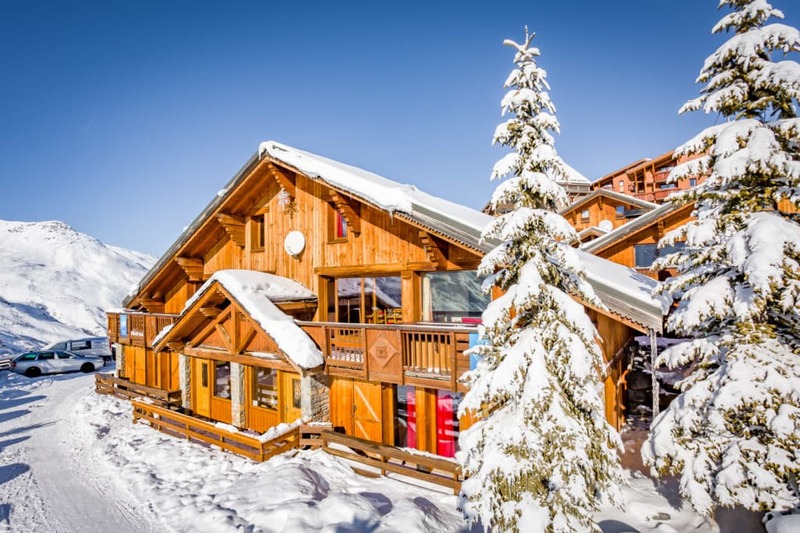 The Powder Hounds Club is based in our purpose built den on the ground floor of the chalet making it a great choice for families with younger children. 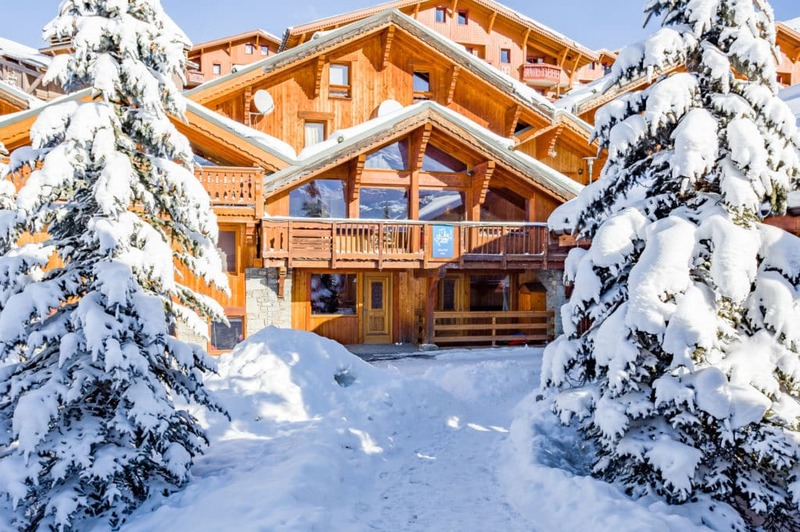 The spacious open plan living and dining area has large wide-galleried windows with dramatic views across the valley, a focal open fireplace and doors opening onto the terrace where you can relax in the hot-tub and enjoy the stunning mountain scenery. 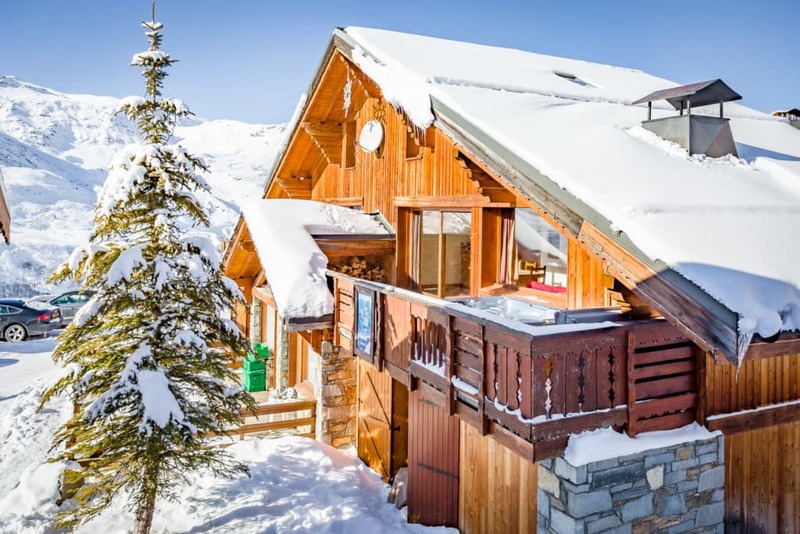 The chalet has a large boot room with boot warmers, washing machine and tumble dryer for guests’ use and drying areas. 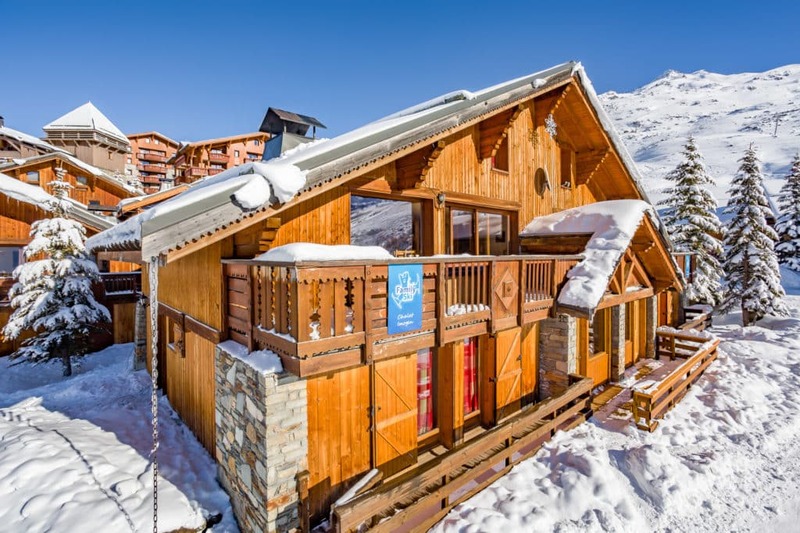 Children in our Powder Hounds Club do have their lunch in the dining area of this chalet. 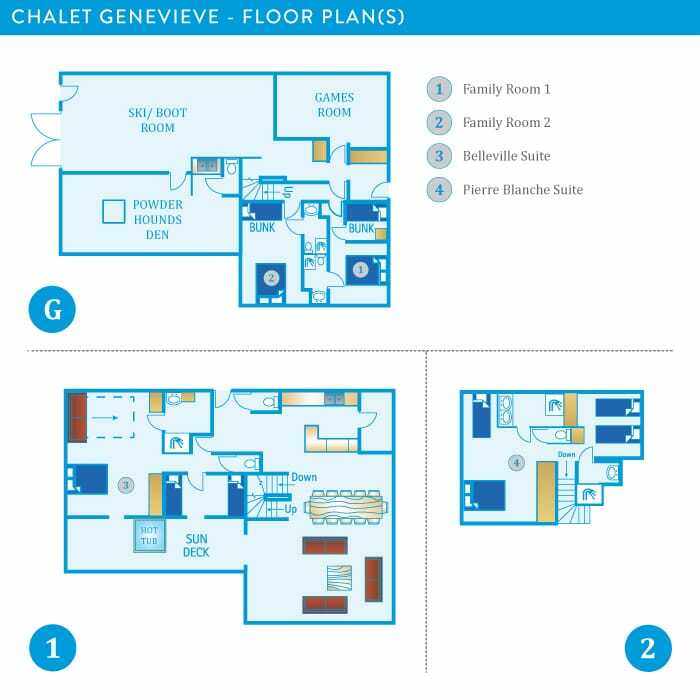 The large Belleville suite is on the first floor and sleeps a family of 5-6. It is a very generous space with a comfy sofa in the parents’ double room which opens out onto the sun deck and hot tub. The children’s room has two bunk beds and additional sofa bed. The ensuite bathroom has a bath and separate shower. 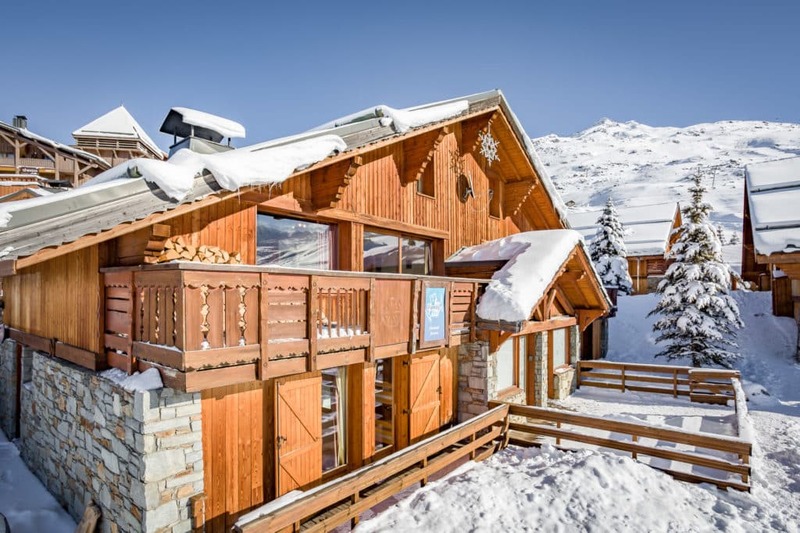 It’s a great space to unwind in after a hard day on the slopes. The Pierre Blanche suite on the top floor will sleep 4-5. The parents’ double has an extra bed and there is a separate twin room for children. There is an en-suite shower room for each room and some lovely touches like large wardrobes giving valuable storage.